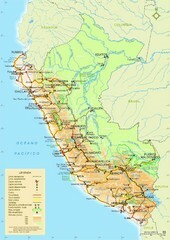 Map of Peru. Arequipa highlighted. In Spanish.